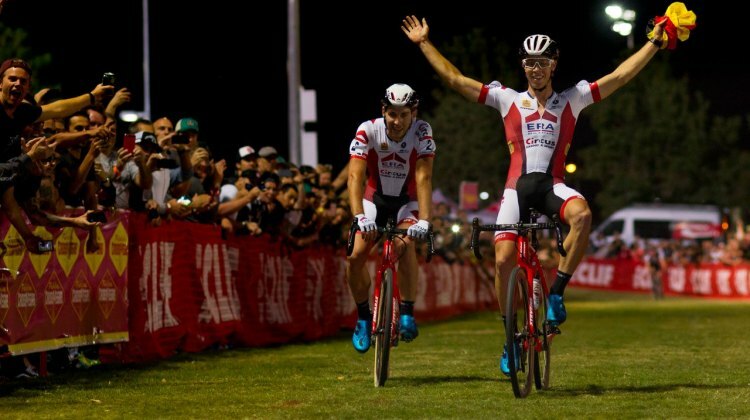 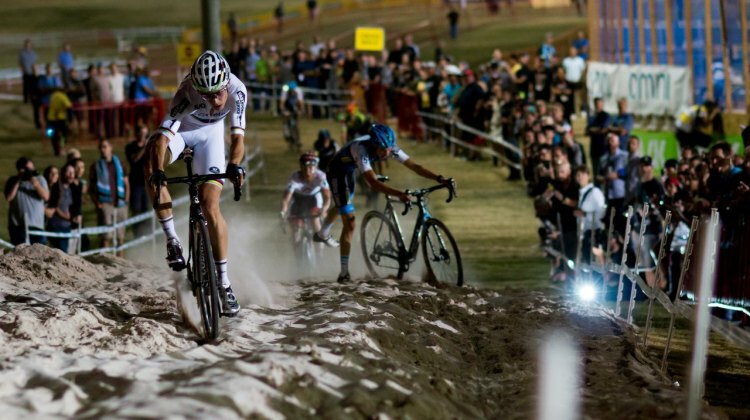 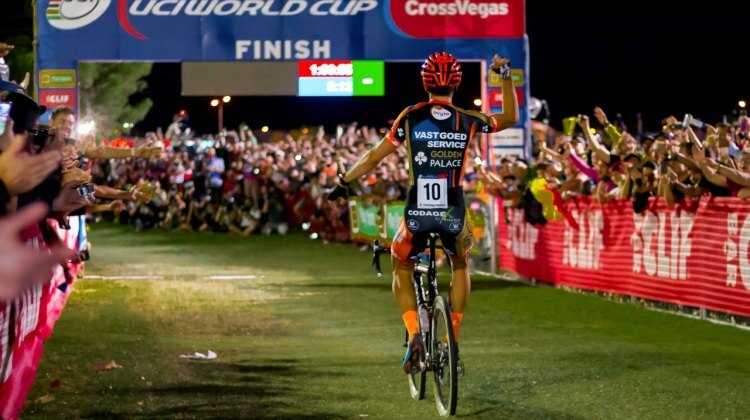 The 2017 CrossVegas cyclocross race marked the end of an era in Las Vegas. 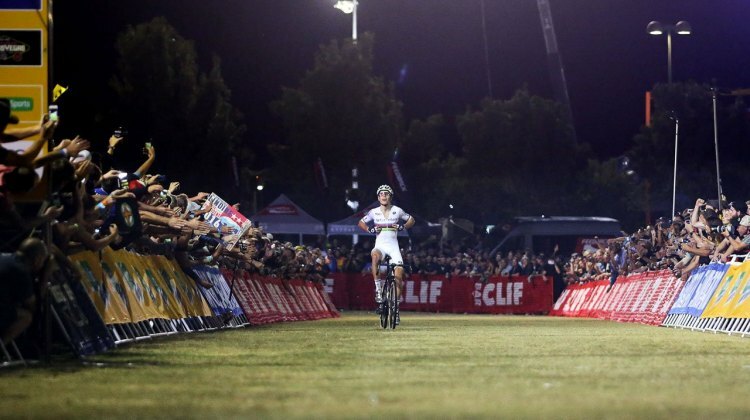 This photo gallery looks back at the last edition of the desert race. 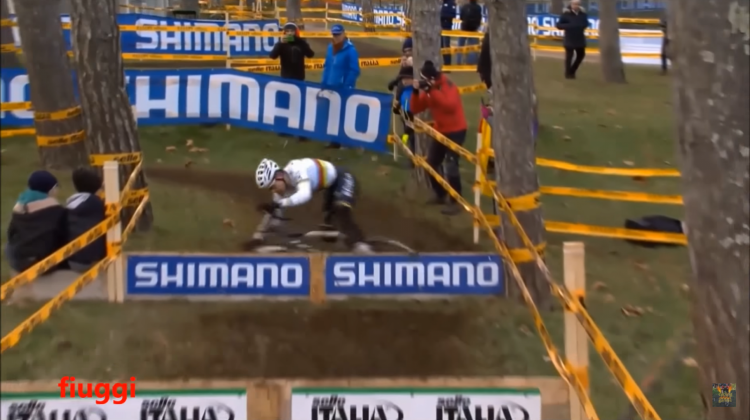 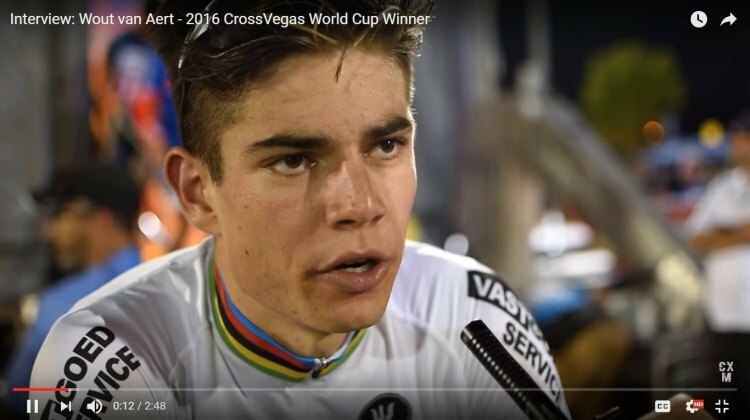 Wout van Aert is back in the States hoping to return home to Belgium with an American UCI Cyclocross World Cup win for the the third year in a row. 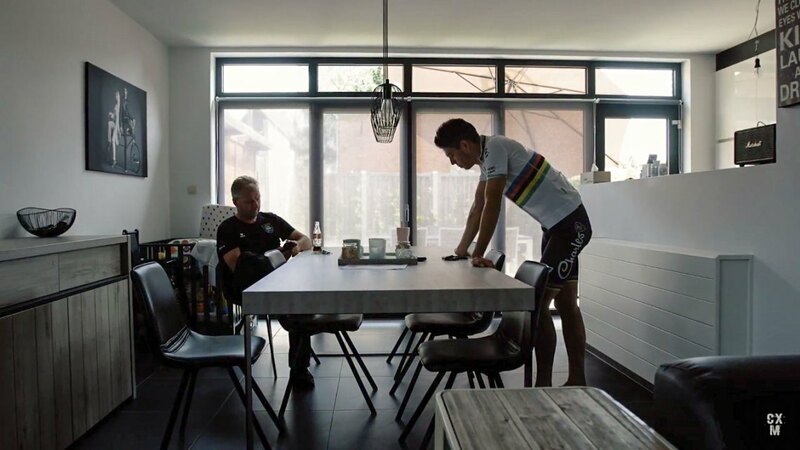 See this video of his pre-season prep. 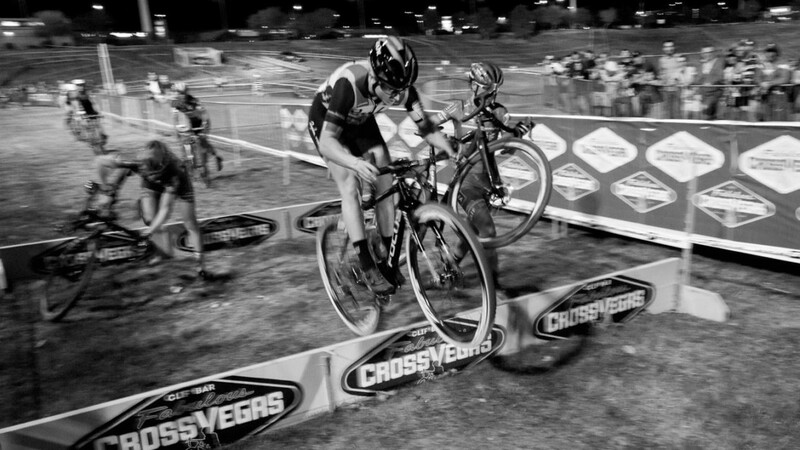 Katerina Nash flew home after her Jingle Cross World Cup win, and arrived at the final Vegas race just hours before the start. 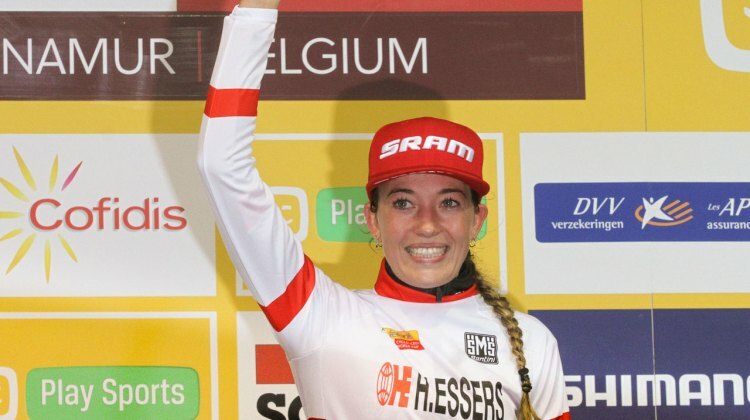 Would all the travel hurt her chances for a record 5th win? 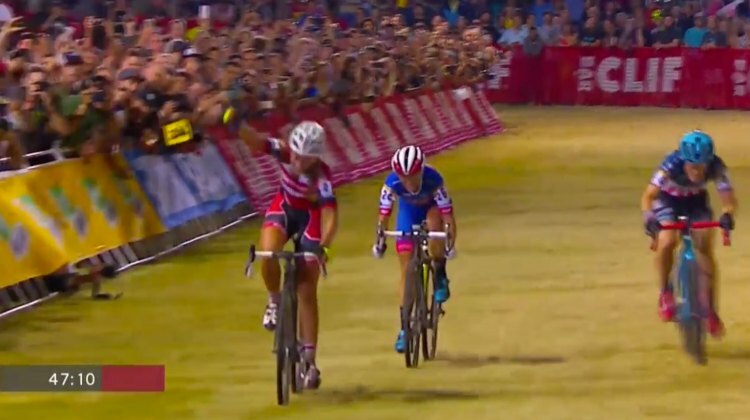 Katerina Nash attacked in the sand to get away from Clif Pro Team teammate Catherine Pendrel to win her 7th CrossVegas. 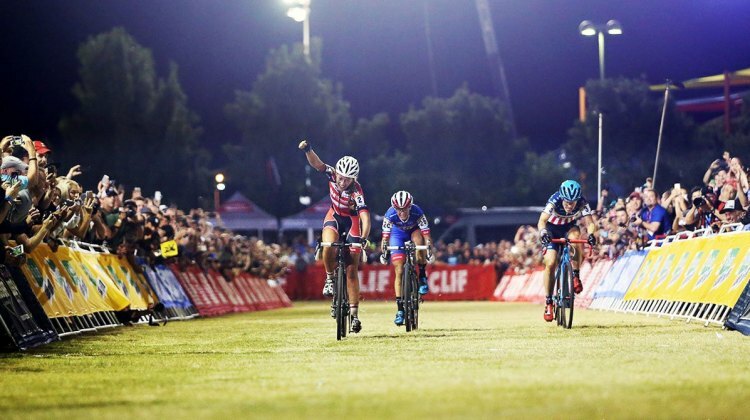 We have the full results. 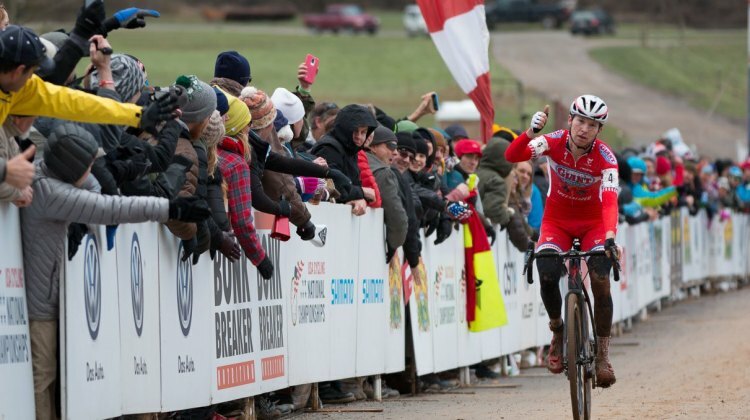 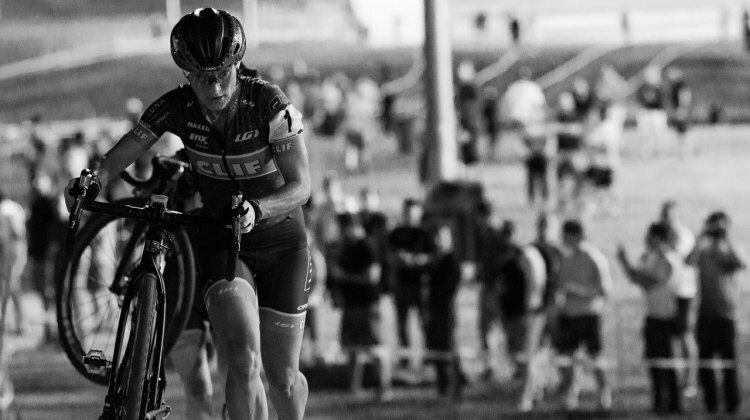 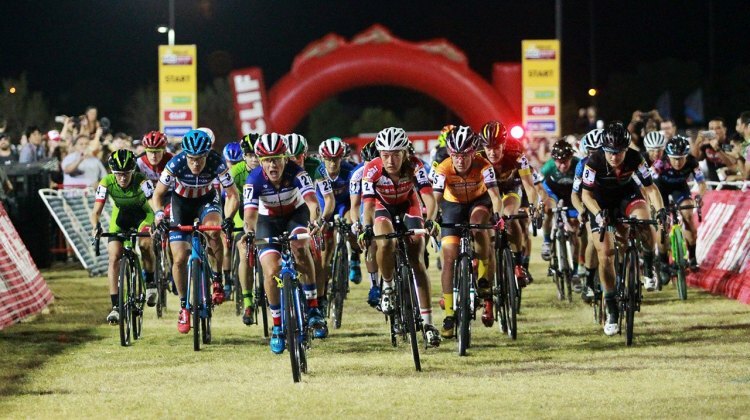 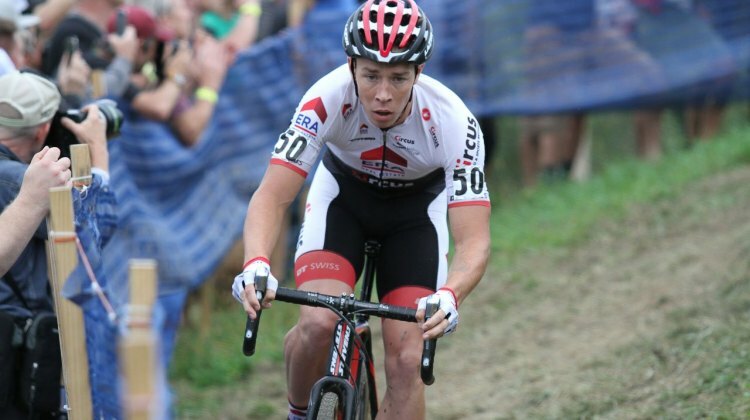 Katerina Nash and Laurens Sweeck are two of the big names racing at CrossVegas Wednesday. See the start lists find out who will be racing under the lights. 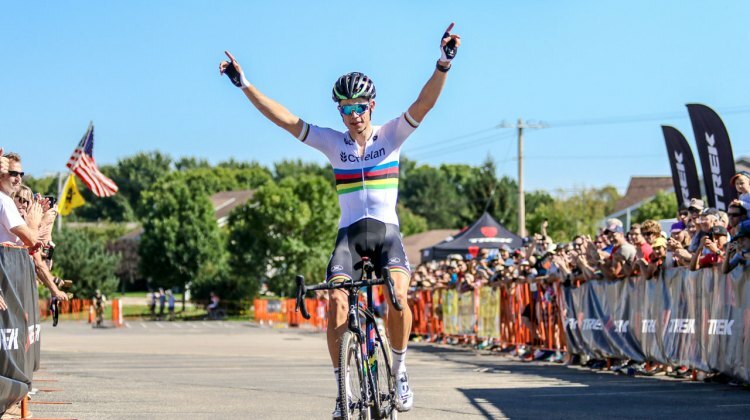 Quinten Hermans has been on a tear, notching four U23 wins this season along with some impressive Elite UCI results. 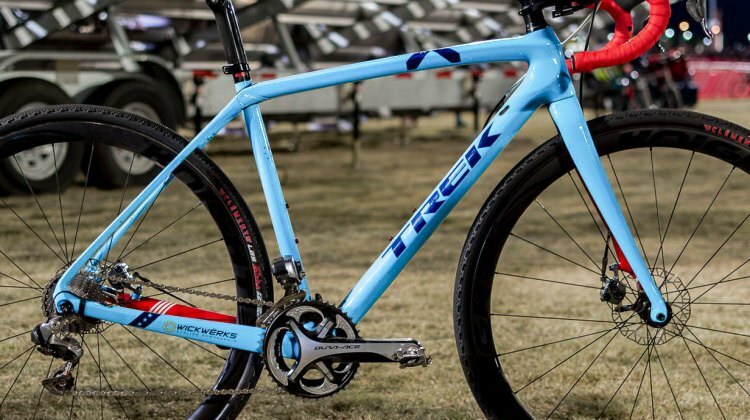 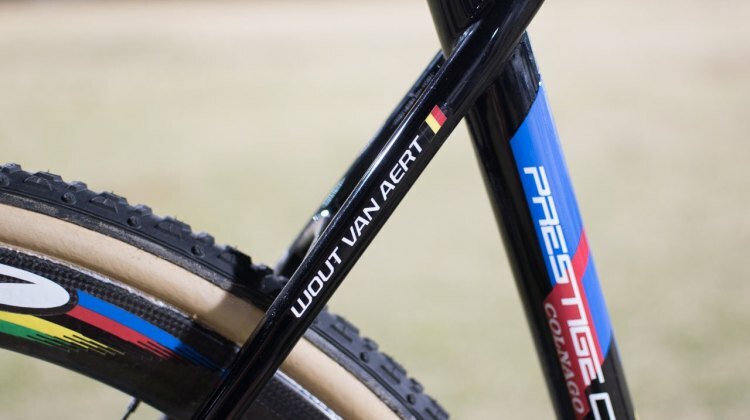 We take a look at Herman’s Trek Boone in our latest pro bike profile. 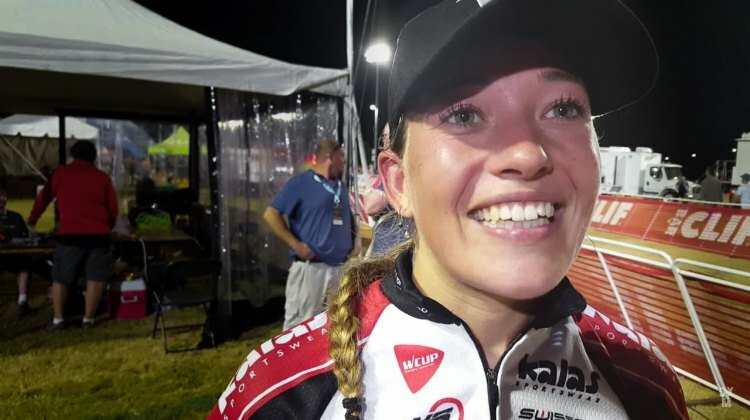 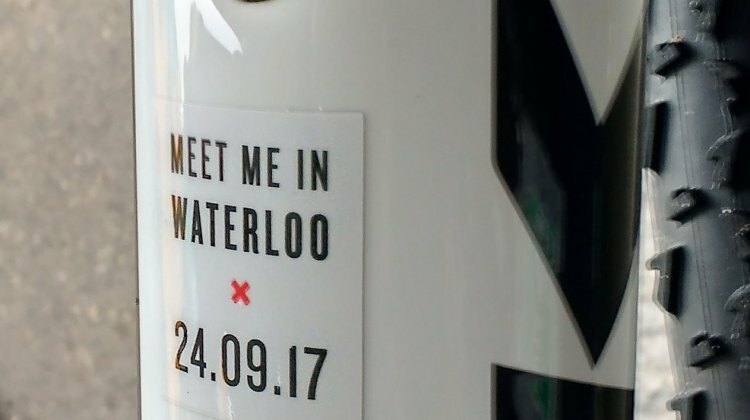 Sophie de Boer won the Women’s race at CrossVegas in a nail-biter three-up sprint aboard an unlabelled mystery bike. 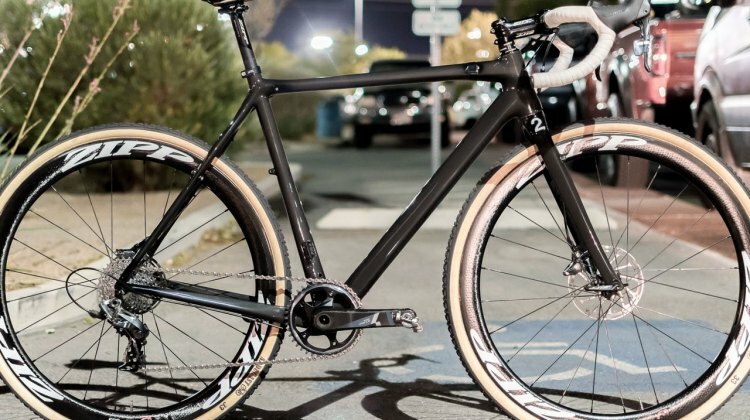 We got a closer look and reveal the pedigree behind the frame—with history and details that the rider and team were unaware of. 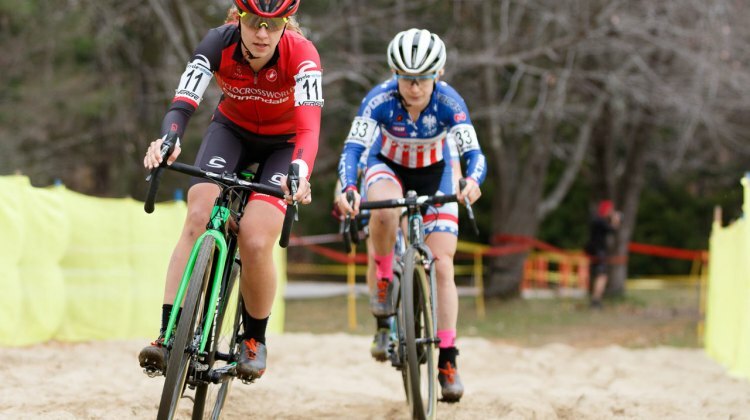 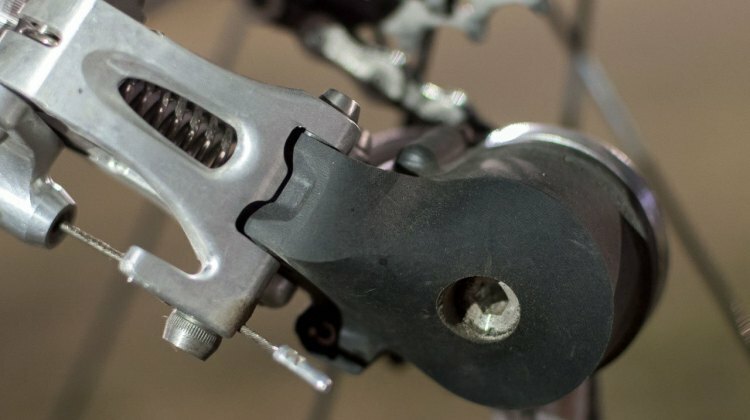 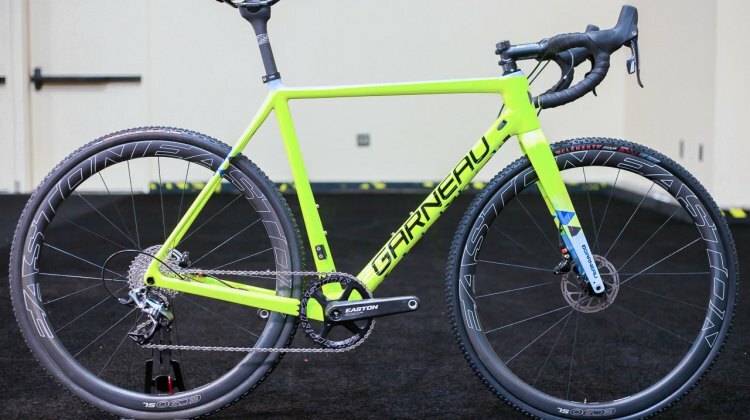 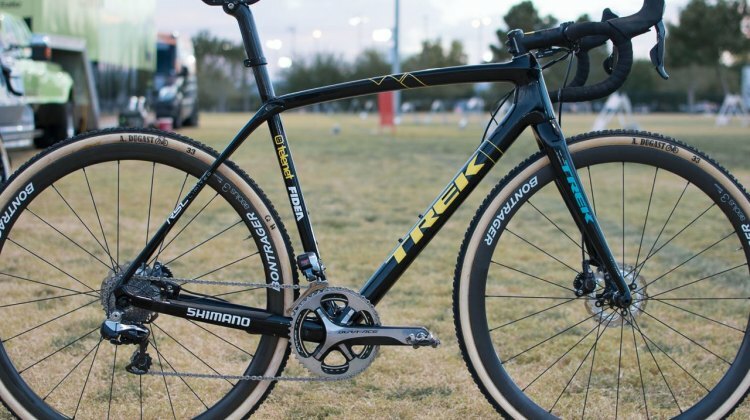 We’ve profiled Katie Compton’s bike more than most, but with her new racing program, there’s plenty of new bits on her Trek Boone that we’re taking a look at her Jingle Cross and CrossVegas World Cup bike.